With Xbox One, a friend is anyone whom you add to your friends list. Adding new friends on Xbox One does not require a friend request. 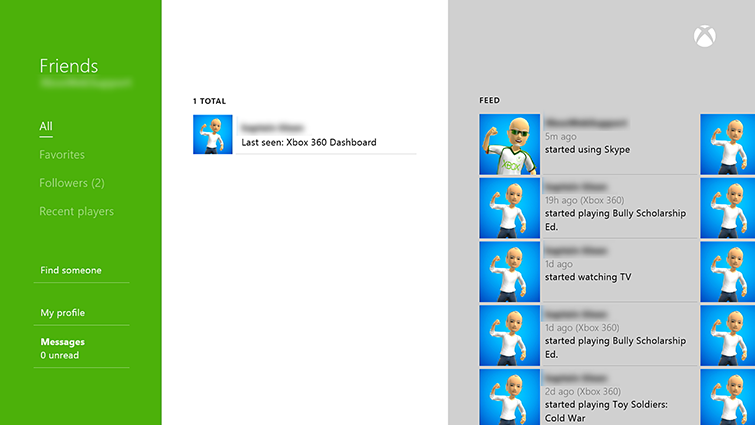 Your Xbox 360 friends automatically appear in your Friends list on your Xbox One console. Keep in mind that friends you added to Xbox 360 will show up as both friends and followers on Xbox One. However, a friend that has been added on Xbox One will not automatically show up on your Xbox 360 list. If you plan to play with them on your Xbox 360 as well, you will have to send a friend request through your Xbox 360 console. Once they accept, you can see them on both of your consoles.